By Rosalind Smith, Director of Business Development, The Cruise Web, Inc.
How often does a recipe jump out at you? It’s officially Autumn, beets are in peak season, and I’ve recently become re-acquainted with them, so when I saw this recipe while thumbing through an Oceania Cruises cookbook, I knew I had to try them. This recipe was surprisingly easy to make. With most of the ingredients on hand, I omitted the slices of black truffle, which were optional anyway, and replaced the canola oil with extra virgin olive oil from Greece. 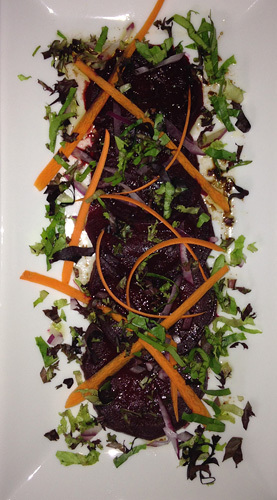 I served this beet “Carpaccio” as a first course at a dinner with some friends with a light Pinot Noir. The verdict: this dish is capable of converting the average beet-naysayer into a fan. So, indulge in Oceania’s decadent version of this hearty and nutritious root vegetable. Words of wisdom: it’s best to store your fresh beets with all foliage attached until ready to use. Most importantly, be sure to leave yourself plenty of time unless you have a trained chef in the house! I began too close to my guests’ arrival, eliminating my typical “trial run.” Therefore, I did not practice the Carpaccio-thin slices as I would have preferred. Time was of the essence, so after peeling the carrots I continued creating “ribbons” with the peeler rather than julienne cut. By Erica Kritt, Social Media Coordinator, The Cruise Web, Inc. 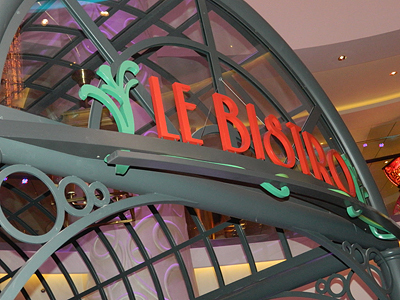 The Norwegian Breakaway is quite a ship, and there are 28 dining venues to choose from, so I was delighted when one of our cruise consultants made a dinner reservation for a few of us at Le Bistro on our last night on the ship. I have to say, living in the suburbs, it’s not often you find a french restaurant, so it was exciting to get to experience the food from a country famous for its beautiful landscapes and decadent cuisine. Super Meal for the Super Bowl! 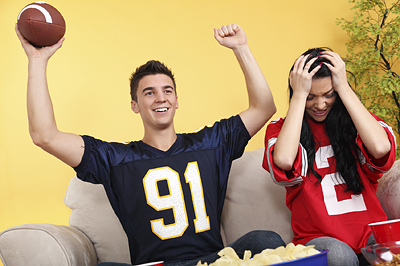 The Super Bowl calls for a big spread of delicious foods that satisfy everyone from the cheerleader to the middle linebacker. For many people this means pizza, chicken wings and seven-layer dip, but if you are looking for a meal with real grit that will surely fill you up, check out these two options inspired by the port cities that are home to this year’s formidable teams. This year’s AFC Champions come from Baltimore, a city with its very own special charm. In Maryland there is one food that rises above them all – the blue crab. And in Baltimore you’ll find restaurants and families with closely guarded crab cake recipes at almost every turn. Baltimore is also known for Domino Sugar, Berger Cookies, National Bohemian beer, pit beef sandwiches and lake trout. The NFC Champions are the San Francisco 49ers, another city by the bay. Seafood is an important part of their diet as well and it was here that cioppino, a seafood stew, originated. The city’s two most prominent food products have to be sourdough bread and Ghirardelli chocolate, both with roots to the California Gold Rush. Sourdough was nearly the only bread being made during the times of the gold rush, and so it caught on. The 49ers’ mascot is even named Sourdough Sam. Ghirardelli himself moved to San Francisco to take advantage of all the people moving there for the gold rush. He started by opening a general store and soon started making his smooth and sweet chocolate treat. 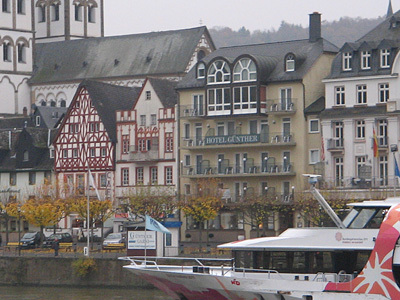 By Lynda Lynn, Cruise Consultant, The Cruise Web, Inc.
Just before Thanksgiving, some of my coworkers and I were given the opportunity to experience a Uniworld river cruise down the Rhine River visiting towns along the border between France and Germany. Each day on this 7-night cruise included a stop in a new town or city. We were busy throughout, touring new places in the day and by night we were relaxing and having fun on the immaculately designed, yet super comfortable S.S. Antoinette river ship. The wonderful thing about river cruising is that you are immersed in your destination, experiencing the history and culture of each town. At every stop, the cruise director, who also served as one of the tour guides, lead the group through cities like Cologne and Strasbourg, exploring castles, visiting magnificent churches and walking the streets of quaint towns like Mainz and Koblenz. Some people think of a cruise as an opportunity to stuff their face with delicious foods any time of the day and night. While that is certainly an option, those looking to maintain their healthy diet don’t need to fret, because there are a lot of ways a cruise caters to people looking for a nutritious and delicious experience. Here are our simple tips for healthy eating while on a cruise, no exercise necessary! Say “No” to the drink package: Alcohol and soda are silent calorie bombs. 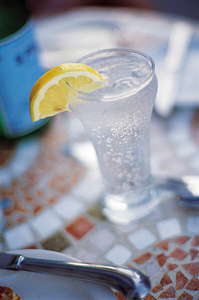 Tropical alcoholic beverages can contain more than 200 calories a glass. So skip the drink package and stick with water. You can always add on a drink here or there. Take your time: You’re on vacation, there is no rush, so eat slowly. You will wind up eating less and it helps you realize when you feel full. Sample: Turn a buffet from a battle to a breeze by simply sampling. Your eyes are always bigger than your stomach so just take a bite of that pie or one spoonful of that pasta. You won’t miss out. An eye for an eye: For every guilty food you eat, eat a nutritious item at your next meal. So if you must have that donut for breakfast, make sure you have a salad with lunch. 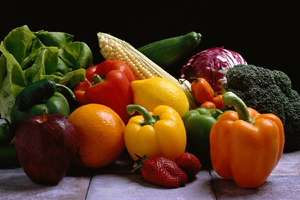 There are fruits and vegetables everywhere so it won’t be a problem to fill yourself with these “good” foods. Drink up: Since you didn’t get the drink package you shouldn’t have a lot of issues drinking water, so stay hydrated. Water nourishes the body and it can also make you feel full so you don’t have to resort to chomping down some bread to satisfy your craving. Be adventurous: A cruise will have a variety of foods from hamburgers and hot dogs to rare delicacies like lobster and steak. Treat a cruise as a chance to try the finer things in life and skip the hot dogs and pizza. For more tips and a different perspective, check out cruise blogger Shon Ford’s lament about avoiding the buffets. But remember this is your vacation so do what makes you happy and worry about it when you get home. 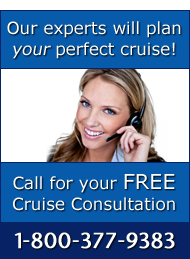 Oceania Cruises prides itself on having some of the best chefs and dishes sailing the seven seas. In fact, the deluxe line is home to the only restaurants that bear Jacques Pepin’s name. The famed French chef serves as the culinary inspiration for all of Oceania, working with the ships’ chefs to develop menus and demo dishes. 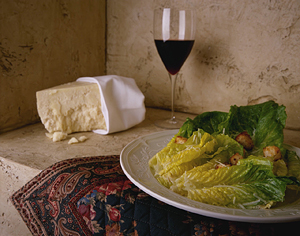 Here is a recipe for one of the expertly constructed dishes that is available on board. Bon appetite! 1. Discard the fronds and stalks of the Fennel. Cut the bulb in half and peel of and discard the tough outer layer along with the core. 2. Cut the remaining bulb into thin slices using a mandolin. Place these slices in a bowl of ice water for 30 min. Just because you may be in international waters it doesn’t mean you can’t celebrate St. Patrick’s Day. Many cruise lines offer up special holiday meals in honor of the holiday. Including green beer. Anything can be made green in honor of St. Patrick’s Day, it just takes a small drop of food coloring, but to truly get an authentic taste of Ireland, Soda Bread is where it’s at. The bread, which is made with baking soda instead of yeast, gained popularity in the 19th century and has been a welcome dish on any Irish dinner table since. But to have authentic Irish Soda Bread, a Cruise to Ireland should be on your to-do list.